Finding a soulmate is difficult and that’s because while it is easy to connect with others on a sexual or superficial level, it is more difficult to connect with someone’s mind, body and spirit. That’s what a soulmate connection truly is and that’s what everyone is wishing to have.. If you’ve been with someone for a while, you may be wondering how to tell if they are your true love. Here are eight signs that prove they are. Trust and reliability are two of the most important qualities a soulmate should have. If you ask them to run an errand for you, will they do it? If they have coffee with an old flame, can you trust them to keep the boundaries platonic? Without trust and reliability in your relationship, you’ll have many fights coming your way while you’re together. Whether it’s the best qualities you didn’t know you possessed, or new experiences you never thought possible, your soulmate will expose you to a new side of life and new ways of thinking. They will also help you generate more confidence in your abilities. We all have dark secrets, deep regrets and shame. But a true soulmate will love you and accept you in spite of yours. You will feel comfortable opening up to them. If you can’t, they are not meant for you. Soulmates support their partners through thick and thin, and if you’re with your true love, you’ll notice that your relationship has very little drama. Most of the drama comes from the outside. A soulmate is there to feed your soul, connect with it and make it happy. In the past, a significant other was someone who was your better half. But that concept has evolved. Today, a true love is someone who fills in the gaps created by your struggles, including the emotional, mental and physical issues you struggle with daily. When you’re at your worst, a soulmate is someone who is there to support you. That’s what separates a keeper from someone who isn’t worth your time. A soulmate provides the rational voice when you’re being irrational and calms you down when you are feeling agitated or anxious. A soulmate has plans for your future together. Whether it’s marriage, children or moving in together, they’re your soulmate if they intend to stick around for the long haul. Where will you be in five, 10 or 20 years? Your soulmate knows and wants to share it with you. A soulmate remembers the tiny details, from your mundane conversations to what you wore on your first date. It’s true love when they listen and remember. It means they’re invested and genuinely interested in what’s happening in your life and they definitely want to be a part of it. 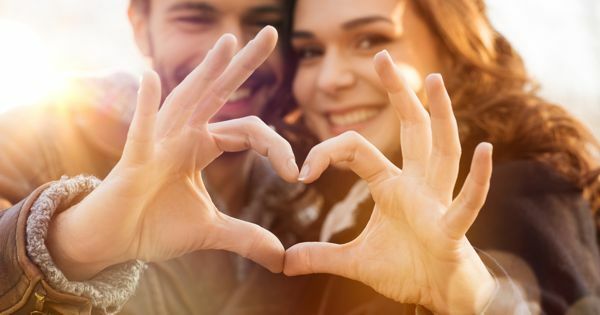 If this article confirms you’re with your soulmate, congratulations, because love is all around you! If you’ve realized something is lacking in your love life, I’m always available to help you. Let’s talk through your relationship, together.